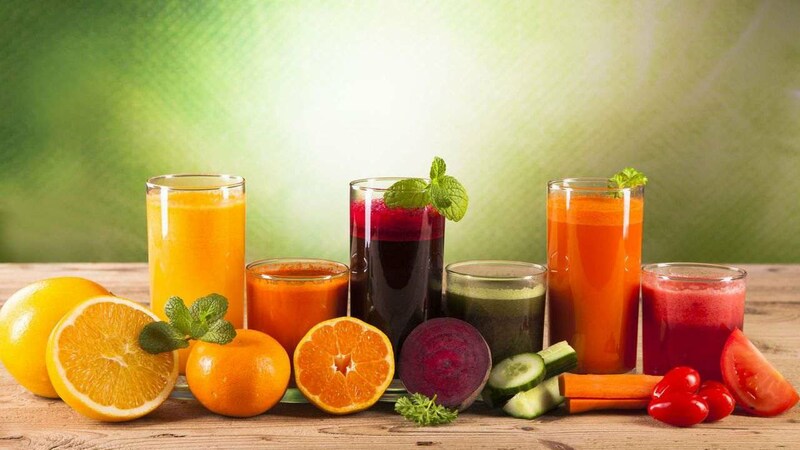 There are many such Food Fads saying juices will help you lose weight. In fact, I have seen people going on ‘Only Juice Diet’ where they survive on juices for a stretch. They do get weight loss, but they just don’t understand that what are they losing. There is a complete science behind your weight loss. Understanding that is tricky. So, people are following whatever they see and hear. Is this the right way to treat your body? Does your body deserve this trial and error things? Is it okay for you to follow these FAD diets without understanding the long-term damage? I know this title says, ‘Juices for weight loss’. The recipes in the article will help you lose weight, but this is a supplement to your diet and not the substitute for any nutritional meal! Recipes for home-made juices to help you lose weight! Squeeze lemons to get 4 tbsp. of lemon juice. Use a hand blender to mash spinach leaves. After it is mashed, add lemon juice and water. Add 1 apple or 1 banana to the spinach and lemon juice prepared. You can add ice to this juice prepared. If you want this Popeye blast to be sweeter, then add 1 fruit (either apple/banana) depending on the taste requirements. Health note: – Spinach, lemon, and apple are loaded with the goodness of nutrients which helps in weight loss. They are loaded with antioxidants and minerals! Wash all the ingredients and peel off the beetroot and carrot skin. Chop and add it in the juicer. To the juice obtained, add strawberries and blend it again. Once the juice is obtained, add ginger juice and water in the mentioned quantities. Add ice to this juice for making it thinner. Health note: – Beetroot, carrot, and strawberries are a perfect blend of antioxidants! It helps in keeping you hydrated and losing weight. Wash all the ingredients and peel off the cucumber and kiwi skin. To the juice obtained, add water in the mentioned quantities. Health note: – It can help in getting rid of the abdominal fat because of high water content and low in sodium. Basil and mint 4-5 leaves. Health Note: – Excellent detox drink! Have it immediately after waking up at least once a week to get best results. Take a glass. Add whole washed chilies. To it, add coconut water, sugar-free powder, lemon juice, salt, and pepper. Stir well to dissolve sugar-free and add chilies to the drink. Top it with few drops of soda. Health Note: – This drink gives you a boost of antioxidants and punch of hydration! Having it every alternative day would be a great idea! This was all about the best healthy detox recipes of home-made juices to help you lose weight! Reach out to me in the case of any queries! Do You Know What Terrorists Did To The Mosul’s Library? Can Animals Commit Suicide Too?